“Just point it and go! The worst thing you can do is not commit.” We were lined up, 10 deep, at the top of a cliff band in the BC backcountry as our guide shouted us this sage advice. Spend enough time in the backcountry and sooner or later, you’re going to find yourself at the top of a big drop. There’s a good chance that “just point it and go” will be your guide’s advice. And they’ll be right: confidence is the key. Many boards are fun to ride. Only a rare few make you a better rider. That day in British Columbia, I was on my third day testing the Venture Storm, and as I charged off cliff after cliff on the Storm, I was a different rider. 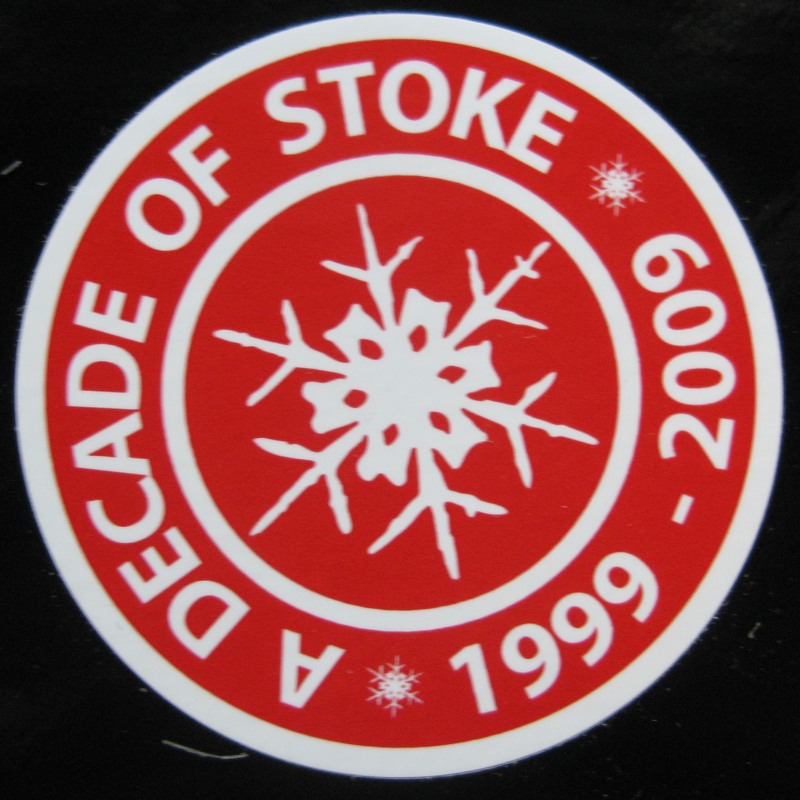 The 2011 Storm is Venture’s “big lines and burly terrain” board. The directional board has a big, soft, pointed nose designed to absorb whatever comes its way and keep things floating. The board has a moderate 8mm of taper with a 30 mm setback to keep the tail settled and the nose up. Venture’s given the board a very gentle rocker with an early-rise tip and tail. To keep the board edging predictably no matter the condition, Venture uses a triaxial fiberglass patern stiffening the board along the torsional stress lines. Everything is wrapped in Venture’s bomb-proof construction, with p-tex on the sidewalls as well as the base. 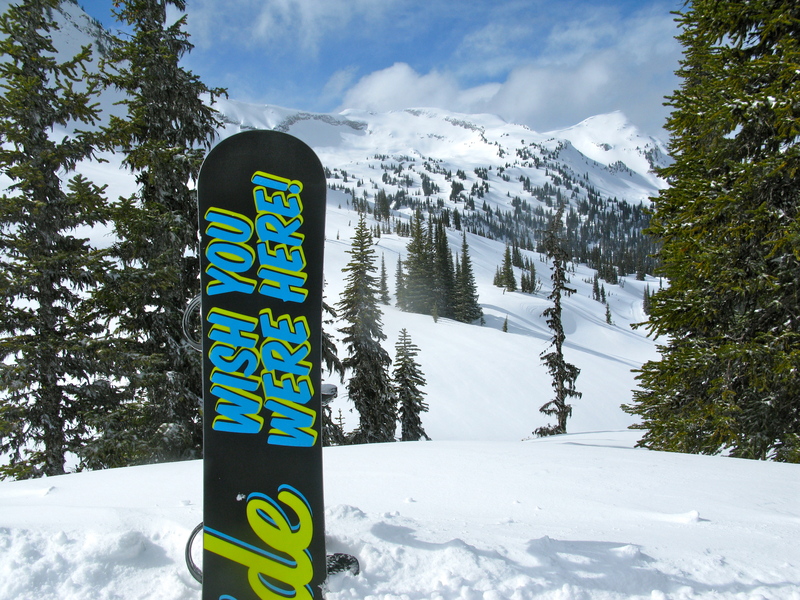 Our thoughts: I spent several days riding a 168 Storm in deep Canadian powder with Monashee Powder Cat Skiing in BC. I rode the board in everything from dense trees to open bowls to narrow chutes with conditions varying from bottomless fluff to rock-hard wind and sun crust. As the one-day test quickly turned into three, I did not want to give up this amazing board. The Storm is like a beautifully handcrafted samurai sword: powerful, precise, graceful, and (at times) dangerous. The big, soft-ish nose easily absorbs any surprises and the stiff, powerful tail grips and cuts through the snow with amazing ease. The board has a very dominant “power center”, where energy transfer and control seem to amplify out from the bindings through the edges of the board. This results in an incredible strong and “in charge” ride. In wide open bowls, the board produces big, strong, dominating carves. In tight trees, the board was amazingly nimble. And in steep chutes, the tip and tail are rockered just enough to get them out of the way when you need to move from edge to edge quickly. Combining moderate taper and rocker is a very effective way to give the board float without sacrificing performance elsewhere. Even with all of my weight on my front foot, the tip of this board never dove. Not having to shift weight back means not only is there no rear leg burn, you can truly carve the board the way you do on hard pack. At 8 mm of taper, the Storm doesn’t face the tracking issues that more aggressively tapered boards have. And the rocker is subtle enough to give the board the benefits of rocker without making it feel squirrelly and unstable on landings. It’s easy to focus on rocker and taper when discussing powder boards, but I don’t think that’s where the Storm’s secret powers come from. What makes the Storm such an amazing board, I believe, is its stiff and powerful tail. Where boards like the Burton Fish chop the tail off and taper it heavily to get it out of the way, Venture has taken a different approach. The Storm’s stiff tail is responsible for the board’s powerful feel, stable landings, and nimbleness. The result is simply amazing. No board is perfect, and there are some areas where the Storm’s strengths become its weaknesses. 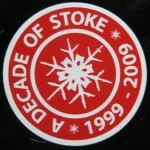 As with any tapered board, this is a board that does not like to be ridden fakie. Attempts at riding switch were generally rewarded with a prompt and awkward faceplant. The Storm is not a board to ridden casually – the stiff tail demands your attention. If you don’t take control, the board will start making decisions on its own. During my time on the board, I was thrown around a few times for getting lazy and letting the board take over. And while it might be obvious, this is not a board to learn on. Beginning riders should look for something much more forgiving. None of these downsides, in my opinion, is significant enough to be of concern for anyone looking for a hard-charging board to dominate the steep and deep. A board built for burly terrain needs to be a bit burly itself. This isn’t the lightest board you’ll find. But after three days of intense riding, countless loads and unloads from the back of the cat, and a tree well “incident”, the demo board looked brand new. Venture backs their boards with a warranty two year warranty – twice the industry norm. Clearly they’re confident in the durability of their craftsmanship. If the board itself isn’t enough, consider the company that makes it. Venture is a small company based in Silverton, Colorado. At the heart of the company are a husband and wife team – Klemens and Lisa Branner. Send Venture an email and there’s a very good chance that one of them will respond. 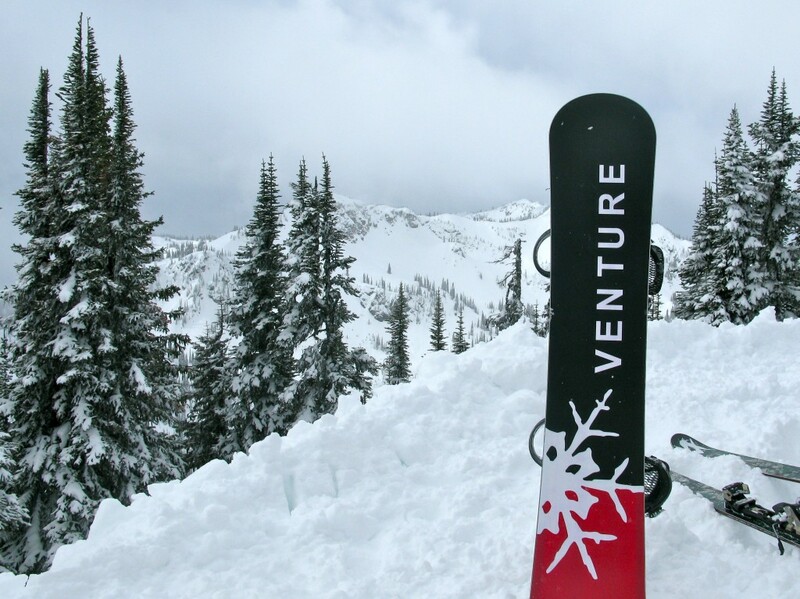 Where many companies are scaling production up by taking manufacturing overseas, Venture continues to handcraft their boards in Silverton by people who love snowboarding just as much as you do. The company’s focused on renewable and green production, constantly experimenting with materials that reduce their environmental impact without decreasing performance. Summary: In case you haven’t figured it out, I loved my time on this board. 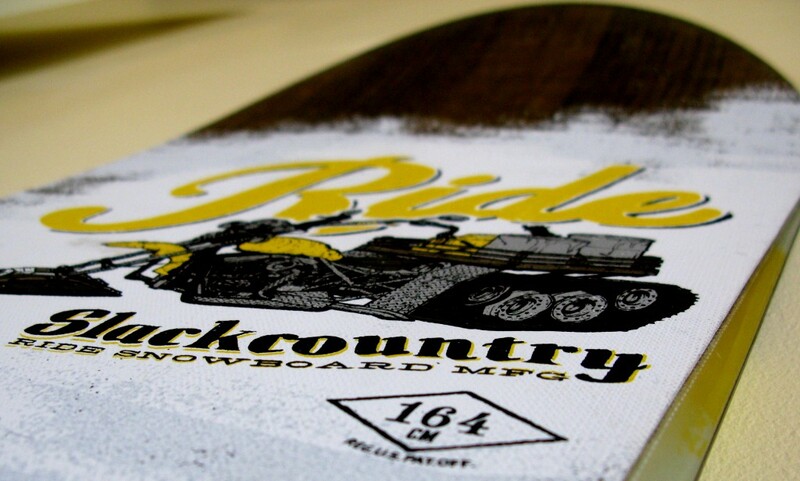 I can’t imagine you can find a better board for tackling big mountain terrain. Sizes and options: Venture offers the Storm in four widths – 24, 25, 26, and 27 cm, each with 3 to 4 lengths, ranging from 152 to 180 cm. And if that isn’t enough, Venture offers the Storm in both a solid and split version. Check out all of your options at Venture’s Website.